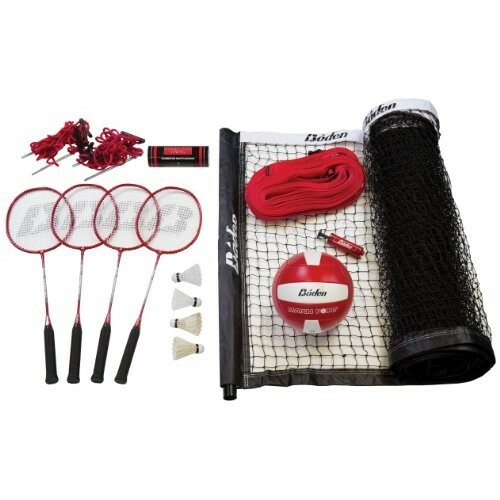 Enjoy all the fun your backyard has to offer with the Baden Champions Series Volleyball / Badminton Set. It comes with everything you need to play both games, including four goose feather shuttlecocks, four aluminum badminton rackets and a waterproof volleyball. Six powder-coated steel poles provide a stable base for the mesh net.